We're kicking off 2019 with a very special episode that features two high-profile creators: musician Jason Collett and writer/filmmaker Brian D. Johnson. 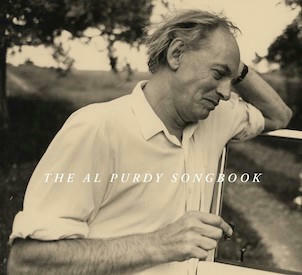 The two recently collaborated as the co-producers of The Al Purdy Songbook, a special collection of songs and spoken word from some of Canada's best-known artists and writers inspired by the iconic Canadian poet. Brian and Jason discuss the process of bringing together such a diverse list of artists for the effort, including Bruce Cockburn, Sarah Harmer, Greg Keelor, the late Gord Downie and Leonard Cohen, and others, and how they organized those individual contributions to create a unique listening experience. They also talk about the synergies between music, film making, and writing, and how those various media impacted one another for this particular project.